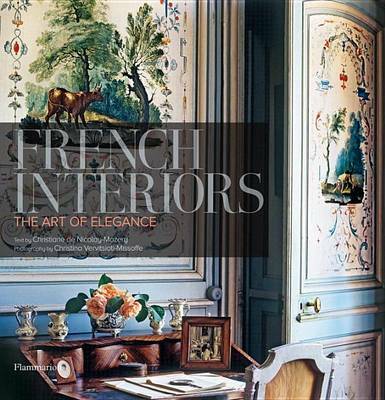 French Interiors The art of elegance by Christiane de Nicolay-Mazery; photographs by Christina Vervitsioti-Missoffe. This exquisitely illustrated new coffee-table book offers an intimate look at nine of France’s most exclusive estates, whose proprietors include such big names as Hubert de Givenchy, Madeleine Castaing, Jacques Grange and the late Yves Saint Laurent. Stunning detail shots showcase fine China, intricate embroidery, gorgeous fabrics, antique furnishings and other design elements. The exterior spaces too are breathtaking, often featuring centuries-old gardens. 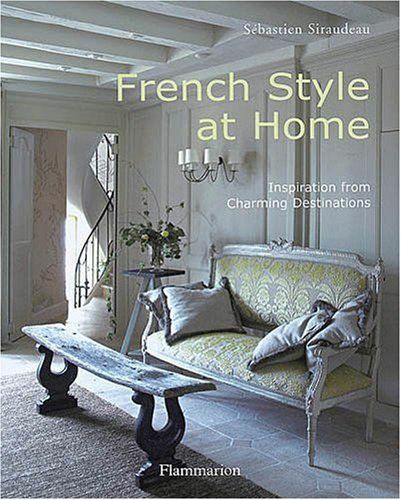 French Style at home Inspiration from charming Destinations by Sébastien Siraudeau. 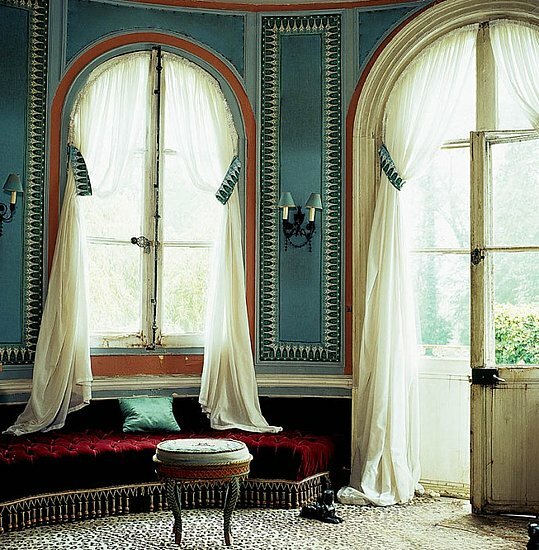 Author and photographer Siraudeau journeyed from Picardy to Provence in search of guesthouses offering the kind of design inspiration that visitors can apply to their own homes. as they say, it’s all about the mix—the chambres d’hôte featured in this very lovely volume range from farmhouses and mills to châteaux and townhouses; their personality-filled interiors combine vintage and modern, urban and rustic, sleek and traditional—often in the same establishment. 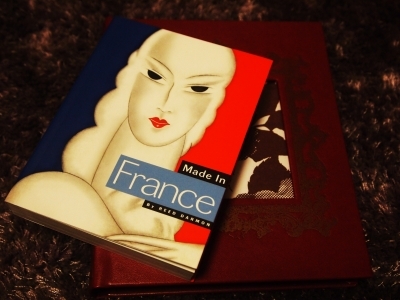 Made in France by Reed Darmon. This new collection celebrates the spirit of innovation, sophistication and wit that has long characterized the French graphic arts. The hundreds of images packed into this little book include movie, café and travel posters; book, magazine and album covers; advertisements for everything from electric clocks to salad oil; product packaging (Camembert, anyone? )—even such diverse items as postage stamps, currency and board games. informative captions offer context. 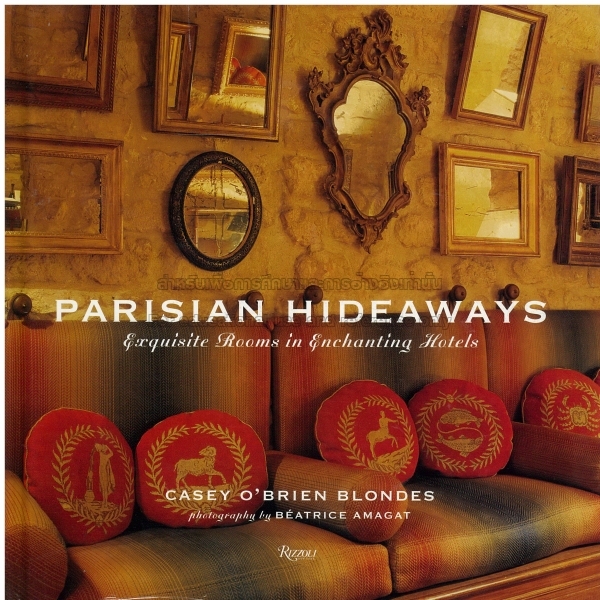 Parisian Hideaways exquisite rooms in enchanting Hotels by Casey O’Brien Blondes, photographs by Béatrice Amagat A compendium of some of the French capital’s most unique boutique hotels, this book is sure to satisfy travelers of both the active and armchair varieties. selected for their authenticity, design flair and service, the hotels included in this lavishly photographed volume are grouped by theme: literary, historic, couture and so on. all family- or manager-owned and all boasting fewer than 100 good-sized rooms, they offer an impressive range of décors, from the minimalist to the baroque. 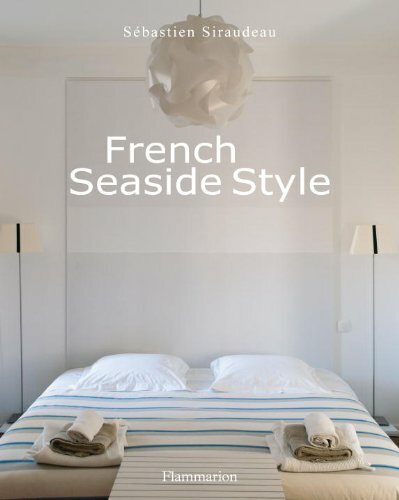 French seaside style by Sébastien Siraudeau Author and lifestyle photographer Siraudeau celebrates nautically inspired décor in his latest title—the fourth in a series that includes Vintage French Interiors, French Style at Home and French Country Style at Home. serene and airy, the coastal cottages and charming guesthouses featured in this lovely book conjure up sea breezes through their understated palettes and discreet mix of natural materials, flea-market finds and contemporary design details. Ruhlmann The Master of art Deco by Florence Camard Jacques-Emile Ruhlmann created opulent homes and showrooms as well as furnishings, lamps and objets for Paris high society in the 1920s and ’30s; he was particularly renowned for his use of rare woods with exquisite ornamentation in ivory, lacquer and other materials. this sumptuous new book by Camard, the world’s foremost expert on the designer, expands on an earlier monograph, adding new information, drawings and previously unpublished archival materials. 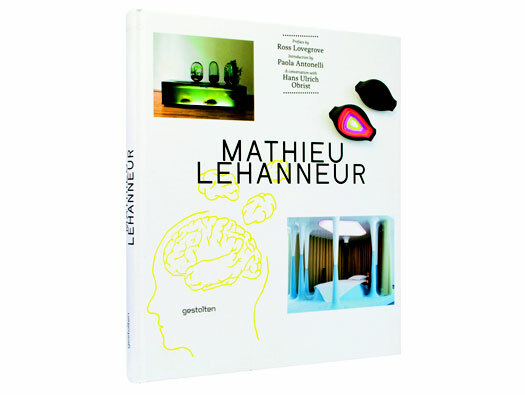 MATHIEU LEHANNEUR edited by Robert Klanten and Sven Ehmann Familiar to readers of France Magazine, Mathieu Lehanneur is a rising star in the world of French—and indeed global—product design. His recent creations include a plant-based air filtration system, ceramic jars whose shape reflects UN population data for various countries, and workshop rooms for children at the Centre Pompidou. With a preface by Australian design giant Ross Lovegrove, this monograph is the first devoted to Lehanneur and his arresting visual language. JEAN-PAUL GOUDE Texts by Béatrice Salmon, Edgar Morin et al. Published in conjunction with a major retrospective at Paris’s Musée des Arts Décoratifs, this new book showcases one of the world’s most unorthodox image makers. A graphic designer, illustrator, photographer and director, Goude redefined advertising and brand photography, devising memorable campaigns for Chanel, Kodak and Galeries Lafayette. This volume features the largest ever collection of his work, from sketches and storyboards to elaborately staged photographs. 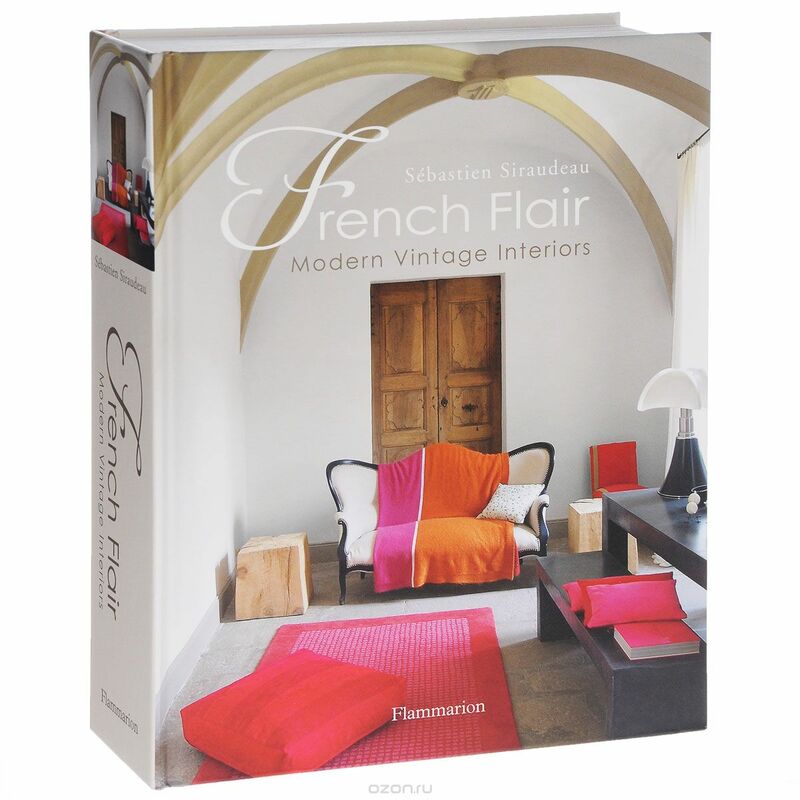 FRENCH FLAIR Modern Vintage Interiors by Sébastien Siraudeau This latest title from author and lifestyle photographer Siraudeau breaks down French decorating styles into seven categories with plenty of overlap. Whether traditional or contemporary, romantic or eclectic, the interiors featured in this book offer a savvy blend of vintage and modern. Siraudeau has a marvelous eye for detail and a gift for showing how disparate objects combine to create a harmonious whole; admirers of French art de vivre will find much to inspire them. 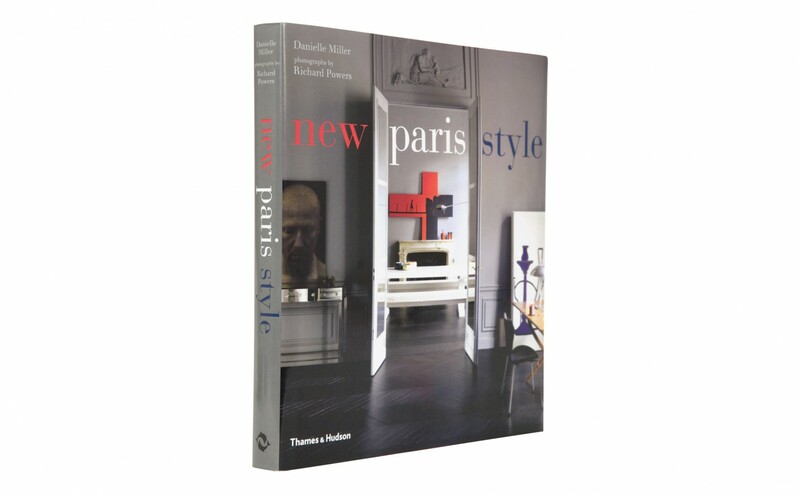 ​NEW PARIS STYLE by Danielle Miller, photographs by Richard Powers This chic new book offers plenty of style inspiration for those seeking to inject a little more glamour into their homes. Nearly 30 dwellings are showcased, from a Haussmann-style apartment on one of the city’s grands boulevards to edgy digs in Belleville. Their eclectic, sophisticated décors reflect the people who live in them—creative talents from the worlds of fashion, film, design, music and art.